Yes, you read that correctly. 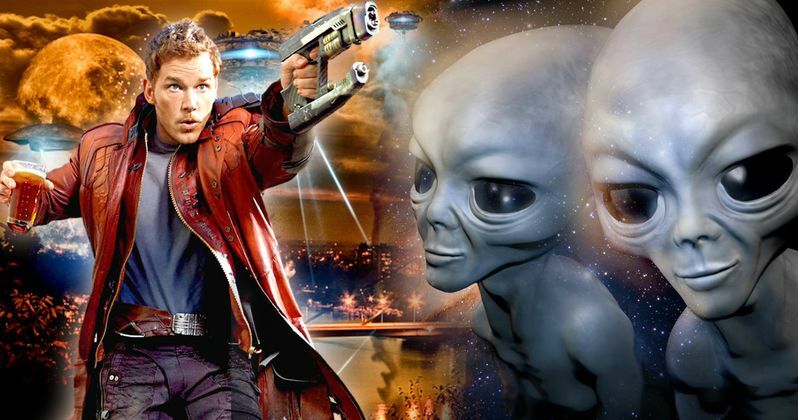 NASA is looking for someone to be the Guardians of the Galaxy for real, or at least the Guardian of Earth. Start dusting off those X-Files and ALF episodes and prepare for the job of a lifetime because NASA is looking to pay somebody six-figures to protect Earth from aliens as well as "organic-constituent and biological contamination." MSN.com is reporting that the defender of the Earth pay starts at $124,406 (a very specific number there) all the way up to $187,000 a year, but the candidate has to be available to travel frequently, which may or may not include trips into outer space to check up on Earth from afar. The position is most definitely a full-time job because protecting the Earth is serious business. The National Aeronautics and Space Administration is looking for someone with secret security clearance to make sure that no aliens harm the planet. The candidate will also be "responsible for the leadership of NASA's planetary protection policies, and oversight of their implementation by NASA's space flight missions." In addition, NASA is seeking candidates that have "advanced knowledge of Planetary Protection, experience overseeing nationally significant space programs and have demonstrated skills in diplomacy that resulted in win-win solutions during extremely difficult and complex multilateral discussions." It isn't clear at this time if advanced knowledge in Klingon language and culture will be a part of the deal, but maybe start studying up just in case because you never know. In regards to the aforementioned flight missions, candidates are expected to employ spacecraft, which are intended to return to Earth and its biosphere with samples from extraterrestrial targets of exploration. It isn't clear whether NASA will provide Lightsaber or blaster training directly or if the candidate will have to go to an outside facility for the specialized training. It's more than likely that NASA will reimburse candidates for any specific trainings that are necessary, but it might be best to jump on that research right now. The official webpage for NASA's Office of Planetary Protection says its purpose is to "promote the responsible exploration of the solar system by implementing and developing efforts that protect the science, explored environments, and the Earth." Its objectives include preserving the ability to study other worlds in their natural states, avoiding biological contamination of other environments that might obscure the ability to find life, and taking precautions to ensure that Earth's biosphere isn't affected by potential extraterrestrial life. In other words, the candidate is going to have to be a pretty responsible person to say the least. The position is expected to last 3 years, but could be extended up to 5 years with a possible promotion and there is currently only one similar position like this in the world at this time and it's through the European Space Agency. If you are interested (and who isn't? ), you can apply right here: USAJOBS.GOV and good luck. Make sure to use Han Solo or Captain Kirk as a reference for higher visibility, there's bound to be hundreds of thousands applicants and you should stand out.